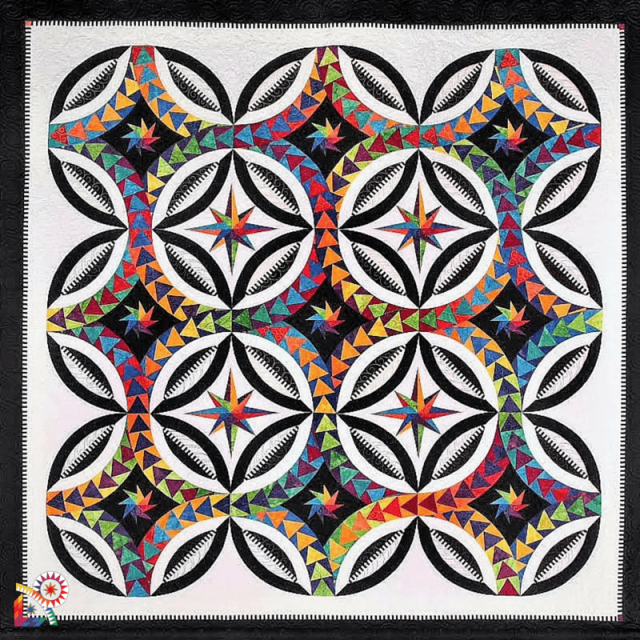 This rainbow with black and white quilt makes a statement as stars, spikes and Flying Geese pop. 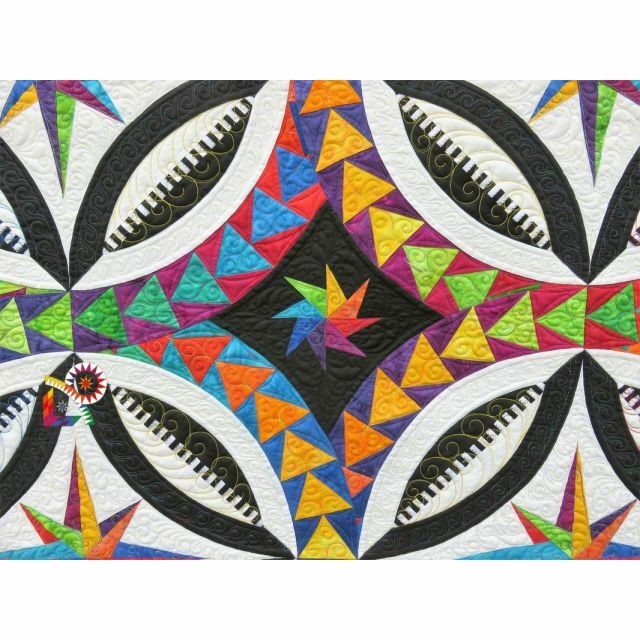 Embellish with crystals or metallic thread to make this quilt sparkle and glow. 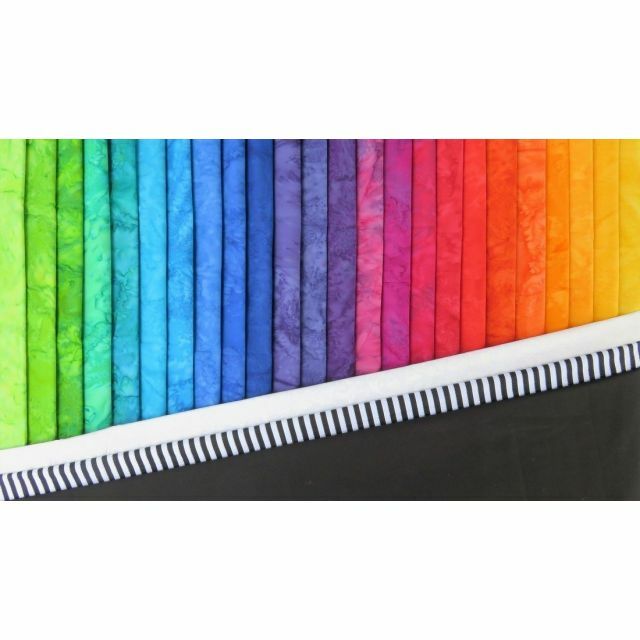 Material requirements include: (15) 10" cuts, (2) 15" cuts & (7) 1/2 yd cuts in a rainbow of colours; 4-2/3 yds white background; 3-7/8 yds black; 5/8 yd black & white stripe.